Cracked lips? 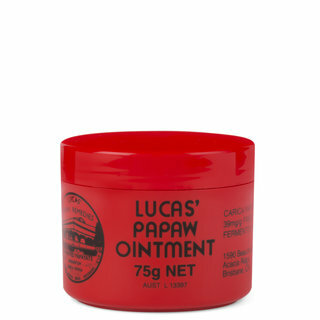 Chapped skin? Rashes and burns and eczema, oh my?! Toss this little red tube into your purse and begin the healing process. 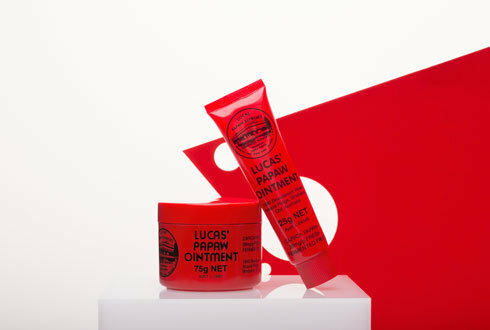 Consider this stuff the duct tape of beauty products! 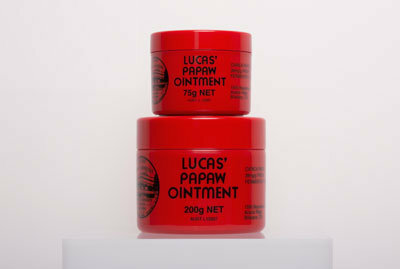 Lucas’ Papaw is beloved by professional makeup artists, and is essentially Australia’s answer to Vaseline. It’s made with fermented papaw fruit and pharmaceutical-grade petroleum, which is a milder and non-comedogenic form of petroleum. 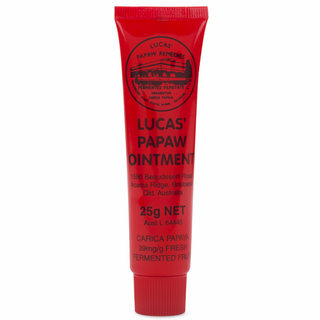 Whether you prefer the classic version or this more-natural take, petroleum-based balm is considered safe by most dermatologists. A hydrating moisturizer is just one of the many uses that made our top-20 list of hidden beauty talents of all-purpose skin balm.